Hunter Wade and Nils Reid, founding partners of Golden State Cider (GSC), announced the upcoming launch of their lifestyle inspired, naturally gluten-free beverage. GSC will be available on draft at select locations throughout the Bay Area this August during California's peak apple season, followed by an expansion down the California coastline. In September, Golden State Cider's flagship Mighty Dry Cider will be available in a pint can 4-pack for a suggested retail of $11.99. 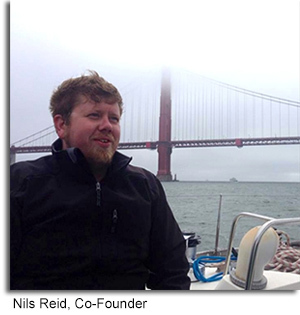 "The Golden State is all about being outdoors, taking in the scenery, and exploring everything California has to offer-mountains, cities, and beaches," said Reid. "This cider captures that spirit. It's crisp and invigorating, and crafted to appeal to the active, health-conscious Californian, and to beer and wine drinkers alike." Golden State Cider joins the portfolio of Sonoma-based heritage hard cider brand, Devoto Orchards Cider, co-owned by Wade's wife Jolie Devoto and her father Stan De voto. The Devoto Family has been growing heirloom apples in West Sonoma County since 1976 and is known as one of the Bay Area's most beloved organic orchards. In 2013, hard cider sales jumped 70% nationally, firmly placing America's original beverage choice on the map as the fastest growing beverage segment in the country. With Devoto leading the way in Sonoma as an artisanal brand with a legacy of quality in an elegantly bottled format, the GSC brand is expected to appeal to a wider audience of adventurous millennial men and women seeking a versatile, lighter alternative to beer and a refreshing substitute for wine. Golden State Cider embodies the farm-fresh flavors that Californians value in their food and drink choices, as all apples are sourced from West Coast orchards. Similar to the Devoto philosophy, quality remains a top priority. Sourcing 100% fresh-pressed West Coast apples, what is not found in Golden State Cider is just as important as what is. Golden State Cider is one of the few cider producers in the country that does not add water, sugar or concentrate to any of its products. With a 5-8% alcohol level, hard cider is equivalent to craft beers, but offers a gluten free alternative. GSC pairs deliciously with fresh, California cuisine... and always perfectly with the California sunset. For more information, please visit DrinkGoldenState.com. Photos provided by Golden State Cider. New York’s most innovative winery announced their latest product, a hard cider cheekily named, Rumor Mill earlier this month. Rumor Mill Hard Cider is made with a selection of apples sourced from Briermere Farm in Riverhead (NY), pressed at Jericho Cider Mill on Long Island and then fermented completely dry, carbonated and bottled at Lieb Cellars’ production facility, Premium Wine Group, under the direction of Lieb’s winemaker, Russell Hearn. The “Rumor Mill” name was chosen out of over 50 names suggested by Lieb Cellars’ staff members in a contest held internally this past winter. It speaks to the small town nature of the East End and how rumors start and evolve in the tight-knit community. In small type behind the logo on the label, Lieb showcases some of the more outrageous rumors circulating around town earlier this year. For future bottlings, Lieb plans to update the labels each year with the latest gossip. “Cider isn’t about being serious or snobby, it’s about getting together with friends, laughing and having fun, and that’s what we did when coming up with the name, tasting Russell’s samples and designing the label,” said Opisso. 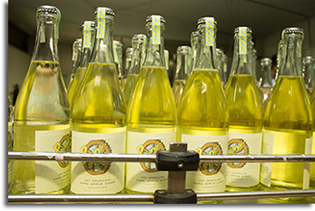 The sparkling cider, packaged in 750ml bottles, will be available for purchase on LiebCellars.com and for tasting and purchase at Lieb Cellars’ three tasting rooms (Lieb Cellars Oregon Road in Cutchogue, The Tasting Group on Cox Neck Road in Mattituck and Lieb Cellars East Hampton at 26 Park Place). Lieb Cellars will also be wholesaling the cider to local stores and restaurants. 589 cases have been produced. For more information, please visit RumorMillHardCider.com. Photos provided by Lieb Cellars. 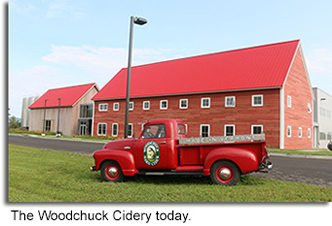 Woodchuck Hard Cider, a leading purveyor of handcrafted hard apple cider in the U.S., held the official opening of its new cidery in Middlebury, Vermont. Earlier this month, Woodchuck held a formal ribbon cutting ceremony at the site of its new state-of-the-art cidery. 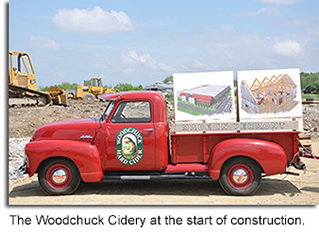 The $34 million cidery, which has been under construction for the last 15 months, represents Woodchuck’s commitment to Vermont and keeping the state at th e forefront of the rapidly growing national hard cider movement. Woodchuck first introduced the U.S. to craft cider from a two-car garage in Proctorsville, Vermont. Twenty-three years later, hard cider has caught on, and Woodchuck continues its leadership role in the craft cider industry. The new cidery is unlike any other in the U.S. and encompasses several traditional Vermont architectural elements, while implementing the best and most efficient new machinery and equipment. The cidery is 100,000 square feet and houses 23 cider tanks and a brand new bottling line. In addition, a timber frame visitor center, gift shop and tasting center welcomes fans to Middlebury. Th e cidery allows the brand to grow while remaining rooted in Vermont and brings a boost to the local economy. Other speakers and key Woodchuck partners who attended the event included Lisa Gosselin, Commissioner, Vermont Department of Economic Development; Morgan Hood, Efficiency Vermont; Bill Suhr, Champlain Orchards; Kathleen Ramsay, Middlebury Town Manager; Andy Mayer, Addison County Chamber of Commerce; Ben Wilson, Better Middlebury Partnership; and Design Group, General Contractor for cidery construction. To learn more about Woodchuck Hard Cider, please visit www.woodchuck.com. 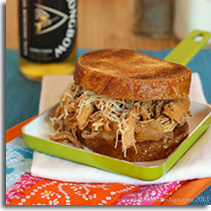 Photos provided by Woodchuck Hard Cider. While Columbus, Ohio may be one of the better known beer cities in the country, two friends are about to lead the charge with what was once America’s beverage. Mad Moon Craft Cidery, the newest craft beverage production company, is here to take the Ohio city by storm one bottle at a time. “We’re like mad scientists, and this is our lab,” is how Mad Moon Craft Cidery co-owner Joshua Dewez described his new business venture. 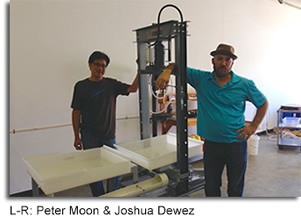 Dewez, along with his longtime friend Peter Moon, were always looking for a business concept they could do together. Josh returned to Columbus and it only took the duo six months to find a warehouse and get their permits before they could begin their journey. Everything they do is crafted by hand, and all natural ingredients are added to their cider after fermentation to give it the cleanest taste possible. “We spend sometimes 20 hours crushing apples and scrubbing pots, but we love doing it. It never feels like work.” Mad Moon prides themselves on being completely regional, from the apples they use to the labels on their bottles. High & Dry (ABV 6.7%) is their dry apple cider. 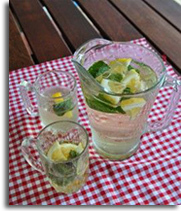 It provides a smooth, refreshing taste with a dry finish. It has a pronounced acidity with a thinner body, and pairs well with most anything from artisan cheeses to a slice of pizza. Semi-Sweet (ABV 6.7%) has a little kick to it while also providing a very noticeable apple flavor. The well balanced acidity still gives it a clean feel, and it pairs perfectly with a good cut of steak and a side of roasted potatoes. Caramel Apple (ABV 6.7%) provides the crisp apple flavor with a full, but not heavy sweetness of caramel. It pairs great with anything savory or salty, such as popcorn. Mad Moon Craft Cider will be launching exclusively in Columbus, OH and has plans to expand when the time is right. You can pick up an individual 12oz bottle, 4-pack, or a pint on draft at some fine, local establishments such as Savor Market, Corner Beverage, Crafted Drafts, and Pies and Pints. Their tasting room is currently in the works. Photos are courtesy of Mad Moon Craft Cidery. Already distributed in New York State and in Asia, Muwin Estate Winery’s newest cider made from Annapolis valley (Canada) apples and local berries is a Nova Scotia product worth clinking glasses for! Bulwark Blush blends Nova Scotia berries with Bulwark’s trademark apple blend to create a fruit-forward, easy drinking treat for both hot days and casual sipping. Blush has a fruity and floral aroma with a sweet mouth-feel and a pleasing dry finish. The berry blend is made up of cranberries, raspberries and blueberries. A patio sipper and incredibly food-friendly, Bulwark Blush is a crowd-pleasing libation of summer that pairs well with summer barbeque, salads, brunch, and light desserts. Bulwark’s Traditional Craft Cider has been offered in Nova Scotia for more than two years and has thrilled locavore customers looking for something produced on the land. Blush has already invigorated the palates of our Asian and American customers, and they are excited to at last offer the berry cider to our local consumers. Muwin Estate Wines is a state of the art production facility on orchard farmland where award-winning winemaker Dominic Rivard heads the production of cider and wine. The apples and berries are pressed onsite, fermented, and bottled for distribution at local Nova Scotia stores and other liquor stores across the country and internationally. Bulwark Blush is available in 500ml bottles, 335ml bottles and 20L kegs. For additional information on Bulwark Cider and to find retail outlets where it is sold, please visit BulwarkCider.com. Cidermaking has a long history in Massachusetts and ‘The North Shore’ is now home to a new craft cider house. Salem-based Far From the Tree Cider began production in February. Head cidermaker, Al Snape has a degree in Oenology (wine making) from Plumpton College in England and has produced wines and hard cider in Bordeaux, Germany, South East England and Champagne. 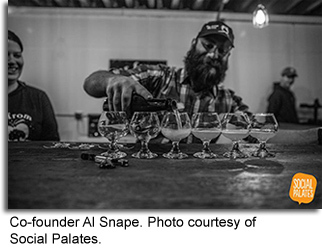 Snape is using his cidermaking experience, his love for craft beer, and connection with the area to create a new but also traditional cider. “My background is in wine. I’ve done vintages in Europe, and I’ve got a huge affinity for representing a place or region with a drink,” said Snape. “It’s all about apples from here, barrel aging, and keeping it kind of simple. The only thing we add to this is a bit of maple syrup from Massachusetts.” Snape uses 100% Massachusetts Cortland apples because they have good tannins and acidity. All of their ciders will be fermented and aged in oak barrels for at least three months to a few years. They don’t add acid, sugar or “apple flavoring.” They also don’t pasteurize, filter or use sorbates (salts). Roots - Their flagship cider is dry, slightly carbonated, pale yellow in color and comes in at 6.9% ABV. You can smell and taste just a hint of Massachusetts maple syrup which comes from the Central part of the state. 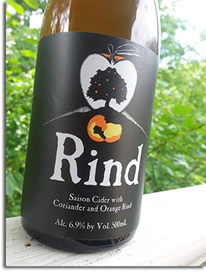 This cider is fermented twice in barrels and is then bottle fermented to naturally carbonate. It pairs very well with sharp cheeses such as cheddar, blue, and asiago. Sprig- The second offering from the company is made with Massachusetts cascade hops and three varieties of Massachusetts mint. The cider is aged in oak barrels, dry hopped for two weeks and the mint is added just before bottling. Like the Roots, it also carries an ABV of 6.9%. It can be paired nicely with chocolate and fruit in the summer months. Far From the Tree continues to experiment with new varieties as it grows and says that they will have a new cider out for the fall next month. They have over 50 accounts on Massachusetts’s North Shore and Boston areas and plan to grow within the state over the next year. Some Massachusetts areas to pick up a 500ml bottle include Salem, Newburyport and Central Square Farmers Markets. 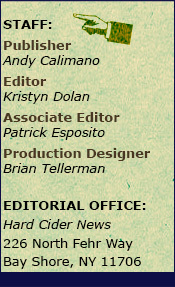 To stay up to date, check them out at FarFromTheTreeCider.com. Photos provided by Far From The Tree Cider.